Summary: A.J. 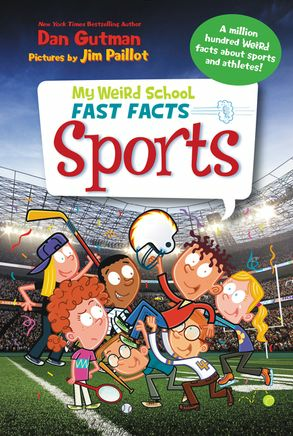 and Andrea, two of the wisecracking, squabbling kids from the My Weird School series, offer weird and interesting facts about a variety of sports. In addition to more well-known information, such as how different sports were invented, there are tidbits that will appeal specifically to elementary boys (some early hockey pucks were made of frozen cow poop) and some that are just bizarre (a hockey puck once hit a player in the chest, where he had a pack of matches, and his uniform caught on fire). Chapters include baseball, football, soccer, basketball, hockey, golf, car racing, the Olympics, and a couple chapters of miscellaneous facts. Includes lots of black-and-white illustrations by My Weird School illustrator Jim Paillot, as well as some photos. Look for a similar book with geography facts, and undoubtedly more on the way. 175 pages; grades 1-4. 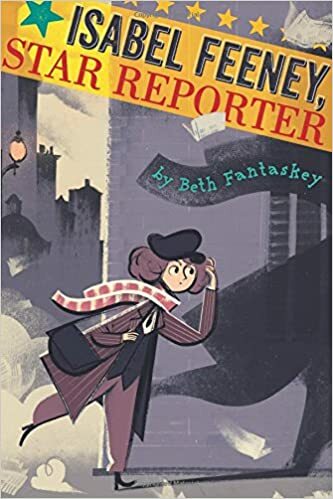 Pros: Perfect for reluctant readers, this new series combines popular topics, interesting facts, and plenty of the humor that has made this series a favorite. Cons: To my mind, the fast-fact format got a little old in the last few chapters. It wouldn’t have been a great loss to edit out the miscellaneous stuff. Summary: In 1944, when Greta was 7 years old, she and her family were told by the German government that they were getting three French prisoners of war to live on their farm. They were “borrowed men”, only there for the duration of the war, which Greta likened to the way her father has been “borrowed” to serve in the war. The men had to live in the barn with the pigs; when Greta invited them in for dinner one night, her mother was called into town and threatened with imprisonment. But despite the difficult living situation and the lack of a common language, the family and the prisoners became friends. Greta found a way to help them decorate their tiny Christmas tree, and they helped her when she accidentally melted the hands and feet of her new Christmas doll. A year later, the war ended and the prisoners were liberated, but the memory of the friendship continued on. An author’s note gives more information about her mother, Greta. 40 pages; grades 1-4. Pros: A gentle and touching introduction to World War II. Although a few wartime atrocities are alluded to, all the characters in this story are kind, wanting to help each other despite being on different sides. Cons: Kids will need some historical context before reading or hearing the story. 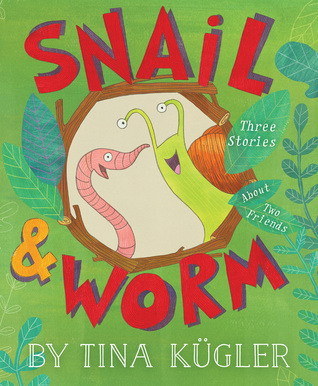 Summary: As the title suggests, this book contains three brief stories about Snail and Worm, who find each other and become friends in the first tale. The vocabulary and humor are perfect for beginning readers. Each friend gets his/her own colored font to make it easy to keep track of the dialog. The back cover says to look for more Snail & Worm adventures coming soon. 32 pages; grades PreK-1. 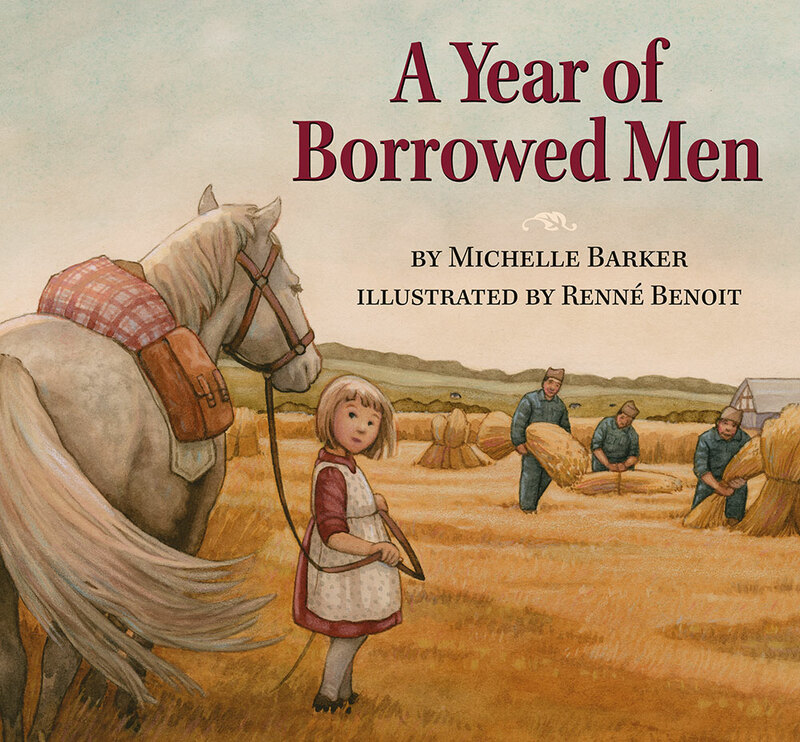 Pros: An excellent choice for either a read-aloud or a first independent reader. Kids will get a chuckle from both the cute, cartoon-style illustrations and the text. Cons: While five-year-olds will find the humor just right, it’s not quite up to Elephant & Piggie standards. Summary: There’s a new school in town. Every day, the janitor comes to visit him, but the janitor assures him others will be there soon. School’s not sure how he feels about this, and the first day of school brings both bad and good. There are a few kids with attitude who say they hate school (School manages to squirt one of them in the nose with one of his water fountains), and a little girl with freckles who is scared of school. School feels bad when his fire alarm accidentally goes off. But School learns some interesting stuff, and at the end of the day, the girl with freckles makes a beautiful picture of him, complete with glitter. As School and the janitor watch the sun go down, School is pretty sure he’s ready for another day with the kids. 40 pages; ages 4-8. Pros: Is this a brilliant idea, or what? I’ve been looking forward to reading this book since I heard about it, and it didn’t disappoint. There’s plenty of humor, yet a sensitivity to how different kids might feel on the first day of school. 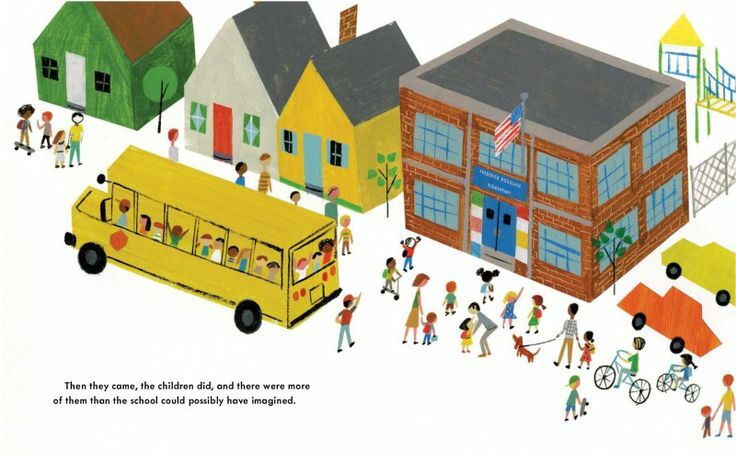 Caldecott Honoree Christian Robinson’s illustrations perfectly capture the elementary school feel. 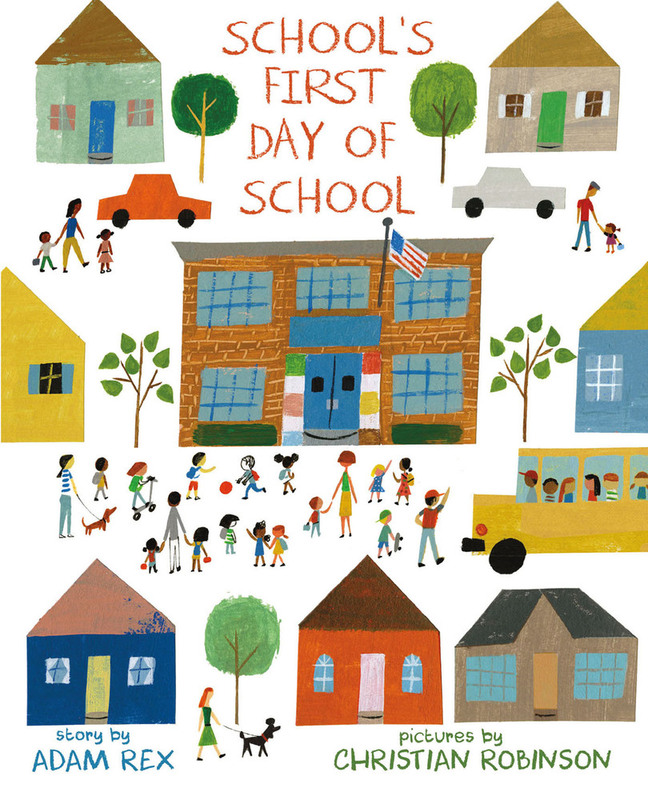 This would be a great read-aloud for the first day of school. Cons: Teachers, I apologize for reminding you on June 26 that there WILL be a first day of school. 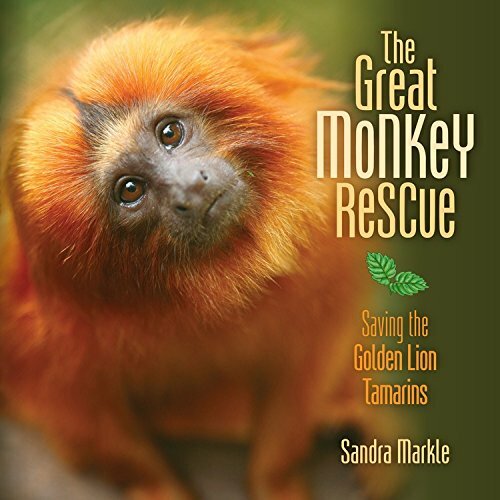 Summary: The story begins with a female golden lion tamarin trying to find a place to start a family. She’s rejected by groups of tamarins until she finally comes to the edge of the forest and realizes she has nowhere else to go. The narrative then moves to a look at the last few decades of human efforts to save this endangered Brazilian species. So much of the tamarins’ habitat has been destroyed that the animals were in danger of extinction. Tamarins in zoos weren’t breeding much, and if they did, the babies usually did not survive. Studying how the animals live in the wild led to greater success with zoo breeding programs, but challenges remained on how to introduce animals back into the rainforests. Slowly, over many years, scientists learned more about the golden lion tamarins and their environment, so that today the outlook for these animals looks positive. The female from the beginning discovers a tree bridge planted by scientists that leads her to a new home and family. Includes a timeline, glossary, additional resources, and index. 48 pages; grades 4-7. Pros: Packed with information, this book is written so engagingly that it’s hard to put down. Plus, it has a happy ending. Cons: The tamarins’ situation still seems somewhat tenuous. Summary: Readers of a certain age will remember Romanian gymnast Nadia Comaneci, one of the stars of the 1976 Summer Olympics. 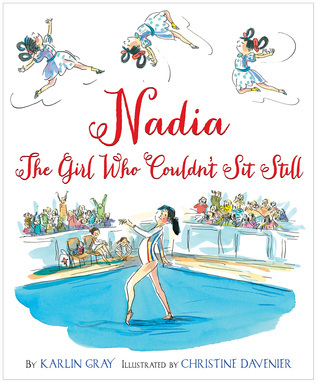 This picture book looks at Nadia’s life leading up to those Olympic performances. From an early age, Nadia was a daredevil, and her high energy level led her parents to enroll her in gymnastics. She was spotted by now-legendary coach Bela Karolyi who recruited Nadia to join the new gymnastics school he had opened with his wife Marta. Motivated by a disappointing performance at her first National Junior Championship, Nadia worked hard for many hours a day to make it to the Montreal Olympics when she was only 14. There she became the first female gymnast to earn a perfect 10…and went on to earn six more! The book ends there, but an afterword and timeline give more information about Nadia’s performance in the 1980 Olympics and her defection from Romania in 1989. 40 pages; Grades K-4. Pros: An inspiring story of an amazing athlete, perfect for summer reading during this year’s Olympics. 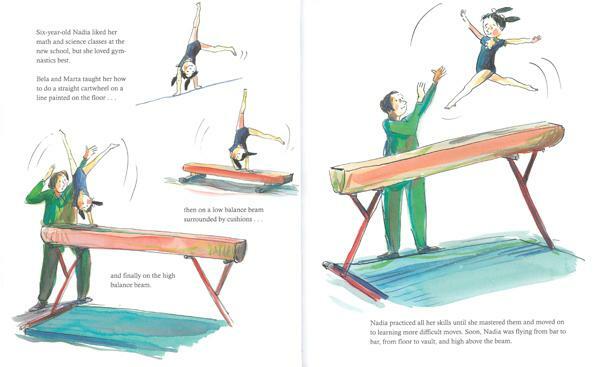 Nadia always seemed to me to be more serious than her predecessor Olga Korbut, but she comes across as ebullient and energetic in the illustrations here. Cons: Because of the brevity of the story, making it to the Olympics comes across as about as difficult as snagging a spot on the high school gymnastics team.